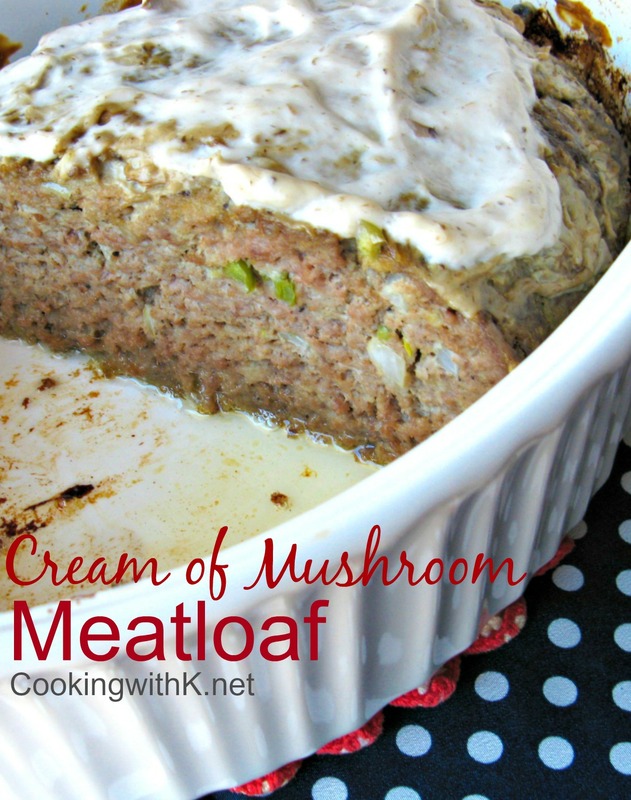 Cream of Mushroom Meatloaf, simple ingredients, cream of mushroom soup, Lipton Onion Soup mix, oatmeal and lean ground hamburger. 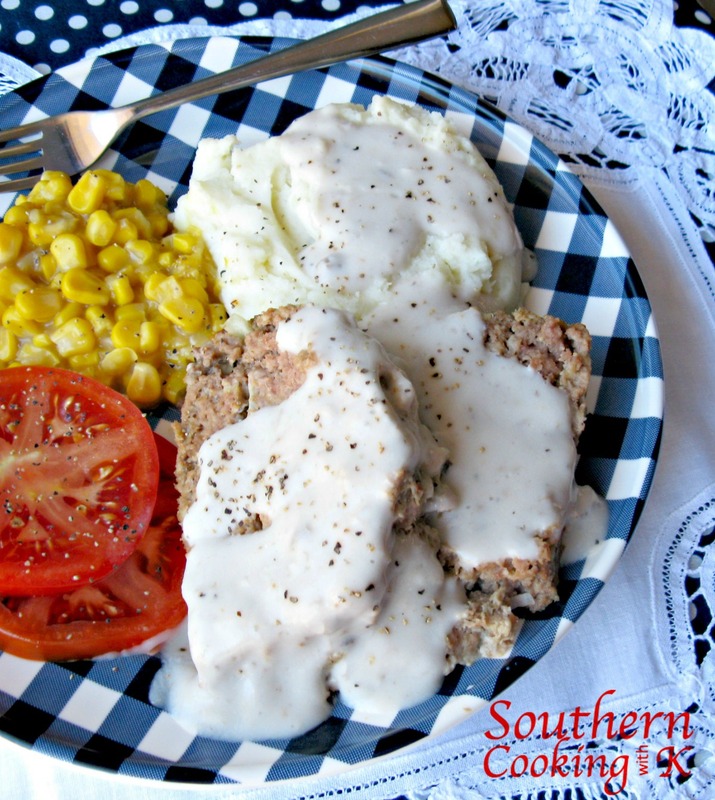 Cook in an iron skillet and it will give the most wonderful juices to make a creamy gravy! 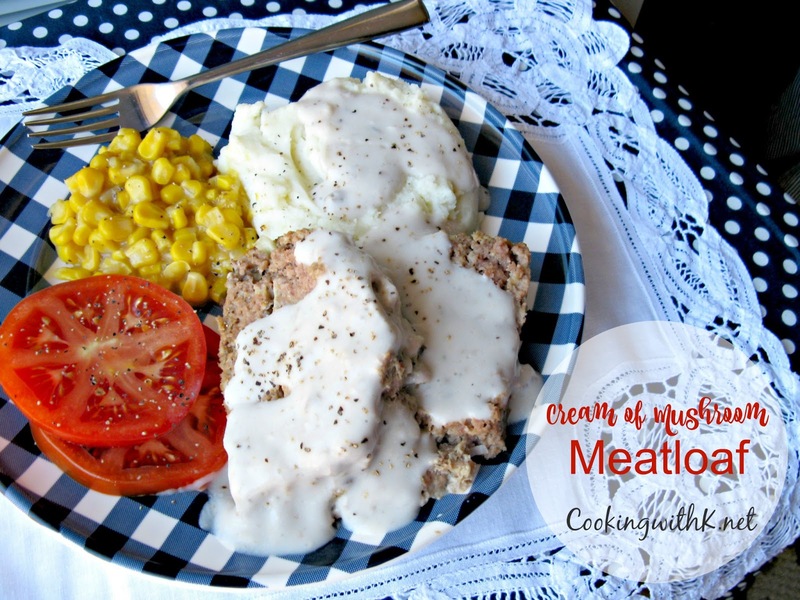 Cream of Mushroom Meatloaf is a meatloaf recipe my Mother use to make as an alternative to the traditional meatloaf recipes made with tomato sauce or ketchup. She made it with a can of Campbell's Cream of Mushroom Soup, a package of Lipton Onion Soup Mix, and oatmeal. I used a half of a can of soup to create a moist and flavorful meatloaf, and we, prefer crushed saltine crackers instead of the oatmeal, but you are welcome to use oatmeal if you prefer. I spread the rest of the soup over the meatloaf and baked it uncovered. 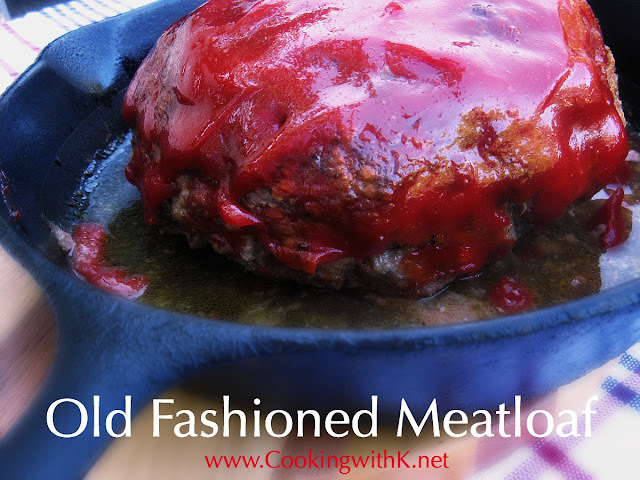 This recipe is as scrumptious as the Old Fashioned Meatloaf recipe I make all the time, and there were leftover meatloaf sandwiches made from this one too. Enjoy! 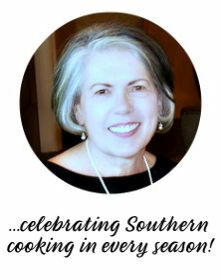 Preheat oven to 350 degrees F. Spray a large baking dish with a nonstick cooking spray; set aside. In a large bowl, combine saltine cracker crumbs, onion soup mix, black pepper, bell peppers, eggs, milk, and 1/2 can of soup, and mix all together until well blended. Be careful not to handle the meat mixture too much. 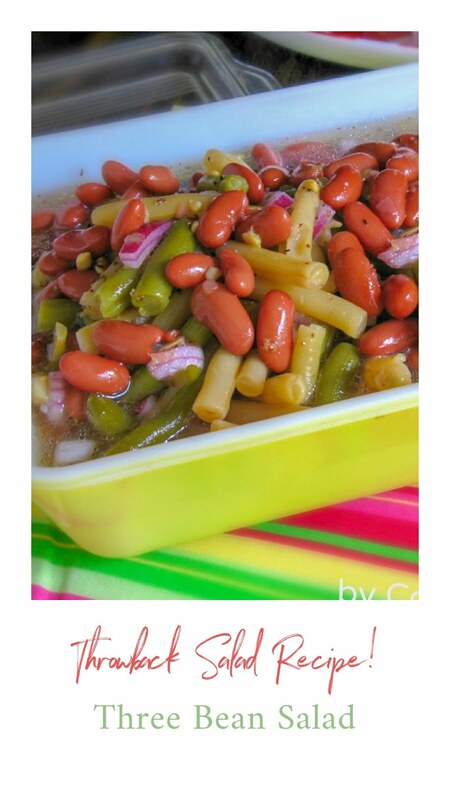 Shape into a round bun and place in the prepared dish. Bake in the oven for 1 hour or until meatloaf is done. Spoon remainder of soup over the meatloaf and return to the oven for another 15 minutes. Cool, 15 minutes and slice. To make a sauce for the meatloaf--heat 1 can of mushroom soup adding enough milk to thin out for a sauce. Serve over meatloaf slices. 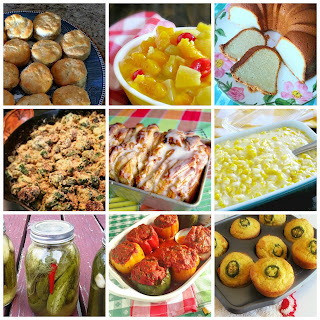 Join me for Meal Plan Monday (where this recipe is featured), Weekend Potluck, What's Cooking Wednesday and all these fabulous parties! 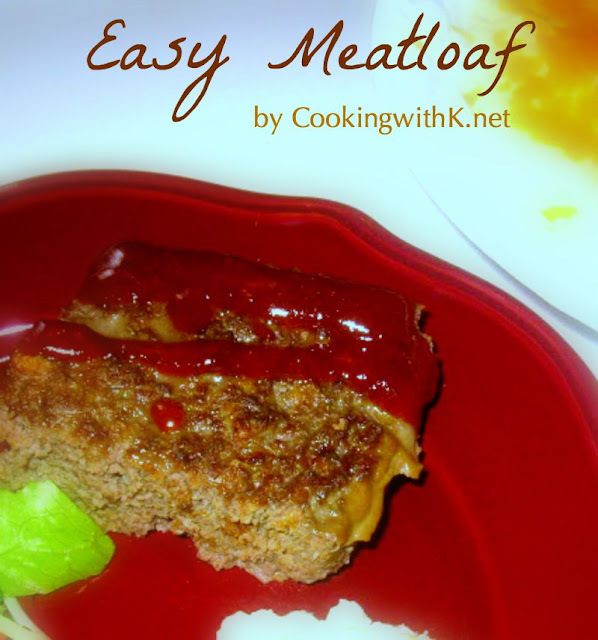 I just love this meatloaf, it is similar to a recipe that I have, makes me hungry. Thank you so much for sharing this awesome post with Full Plate Thursday and have a great weekend!